VIRO-FLOW, our industrial ITN (H2020 Innovative Training Network), held its kick-off meeting on May 22nd and 23rd at ICIQ. The project obtained €750k to train early-stage researchers and advance the integration of continuous flow chemistry with in vitro microfluidic bioassay technologies for the discovery of novel drugs for treatment and cure of HBV (Hepatitis B Virus ) infections. The kick-off of meeting included representatives from both institutions. 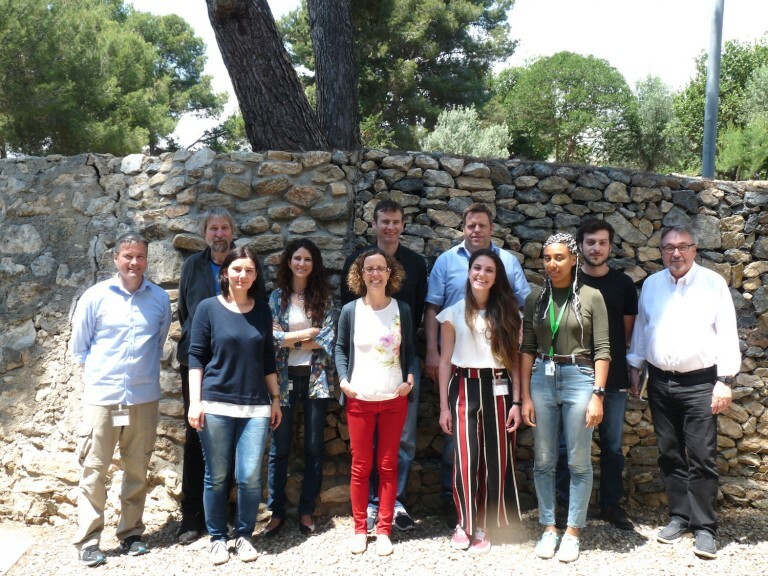 In the picture, the VIRO-Flow Team that participated in the meeting: Prof. Miquel A. Pericàs, ICIQ Director and Group Leader and Dr. Helmut Buschmann, Head of Chemistry and Patents in AiCuris, are the supervisors of Viro-Flow PhDs. Dr. Esther Alza (ICIQ), Dr. Tomas Goldner (AiCuris), Dr. Alastair Donald (AiCuris) and Dr. Andreas Urban (AiCuris) are the project’s mentors and Dr. Anna Banet, the project coordinator. Moreover, the three PhD students that will carry out their doctorate within Viro-Flow: Justine Raymond, Elena Detta and Tamás Vernes.